Color Options - Please Select Your Favorite. This specific model of the ashcatccher has a 14mm glass on glass joint and works in conjunction with a 14mm bowl. The ash catcher's percolator is made of glass shards that are seemingly woven together to produce a prickly texture. The fritted design allows for a great amount of small holes in the percolator; the more the holes the greater amount of air filteration. 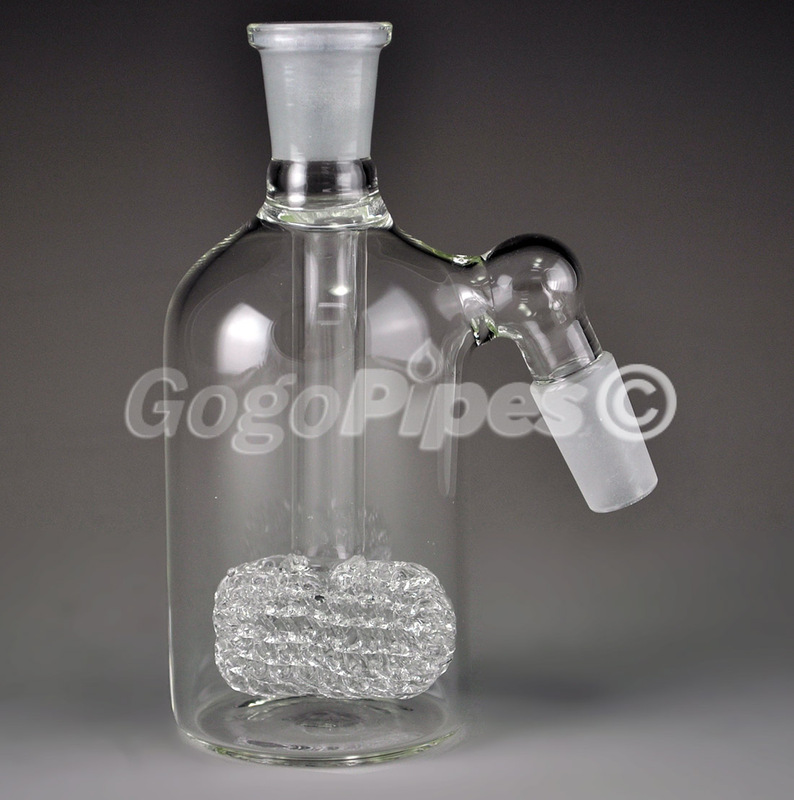 The ash catcher stands at 4.5 inches tall and is 50mm in diameter.